The Living Ice Mouse is a breed of mouse found in the Slushy Shoreline. They are known to drop Frosty Metal, Heating Oil, and Wire Spool as loot. Living Ice mice are especially attracted to SUPER|brie+ cheese, to the point that any other kind of cheese will simply not suffice. The Living Ice Mouse drops the Slushy Shoreline Egg during the annual Spring Egg Hunt. 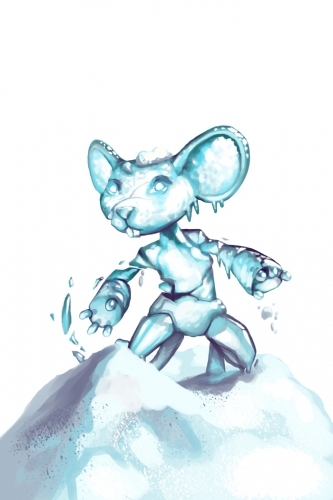 The Living Ice mouse was released on 16 May 2012. Prior to the release of the Iceberg on 24 May 2012, the Living Ice Mice were known to drop Interlocking Hull Fragments as loot.